Palmer's® helps reduce the appearance of stretch marks with a special blend of pure Cocoa Butter, Vitamin E, Shea Butter and Bio-Elast™ . Bio-Elast™ is a powerful combination of Collagen, Elastin, Centella Asiatica, Sweet Almost Oil and Argan Oil. This non-greasy, all over body lotion helps improve elasticity and suppleness of stretching skin during and after pregnancy. 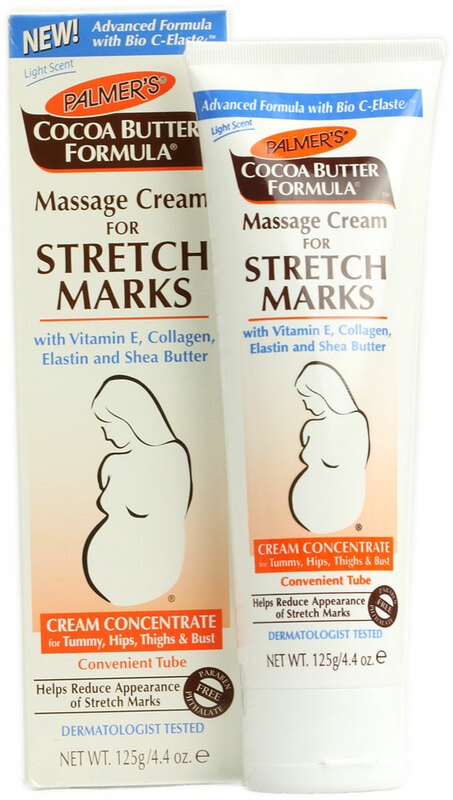 Also recommended for stretch marks associated with weight fluctuations .